In early 2018, we travelled for five months in four Pacific Rim countries. As part of this trip, we stayed with three Servas host households in Australia–with Maggie and Ralph in Port Fairy in the state of Victoria; with Rose and Alastair in Adelaide; and with Karen and Mike near Manjimup in Western Australia. In each instance, the hosts’ generosity in the meals they shared with us and the considerable amount of visiting time they provided us in the midst of their busy lives was amazing and extremely gratifying. Whether it was touring us around their community or seated around their dining room table over an Australian red, rosé, or white, we spent hours exchanging perspectives on global issues and local customs. As well, we benefitted from the hosts’ suggestions of nearby, off-the-beaten-track attractions and activities for us to see and do–well beyond what the brochures from the tourist offices covered. We clicked so well with all three Servas households that each is giving thought to visiting us in Canada in the future, making for a true exchange and enabling us to return the hospitality. We are sure that most travellers can recall similar positive experiences when staying with Servas hosts. One aspect of Servas travelling that may be more easily overlooked is how tremendously worthwhile a visit with a Servas day host can be. Although usually not having the ability to share their living space with travellers, a day host can be a delightful way to gain insight into the local community and culture. In Adelaide, we had a lovely two-hour coffee with Jack, a retired teacher who proved to be fascinating company as we compared Australian and Canadian union movements and politics and heard about the election monitoring that Jack has done in other countries. In Tokyo, day-host Nobuaki spent most of a Sunday with us, taking us to two museums and a street where local artisans were selling their wares. 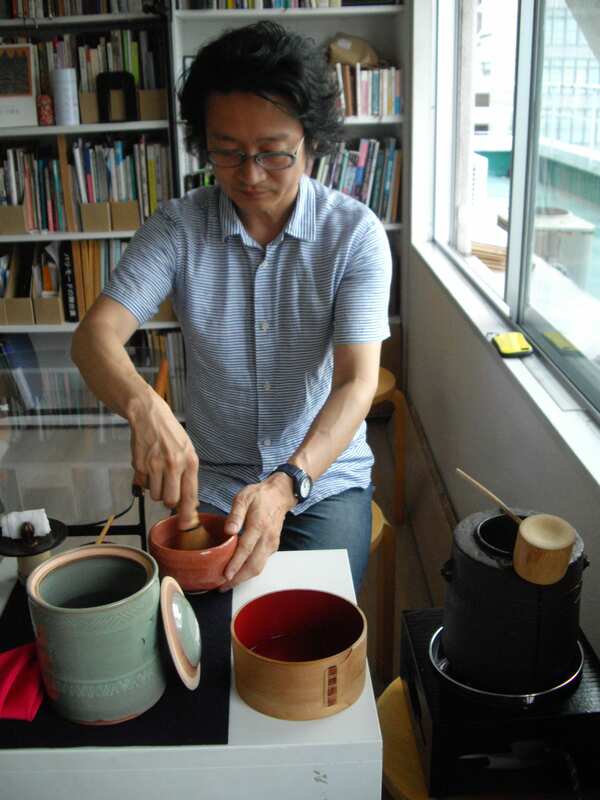 The highlight of the day, however, was discovering that, for the past five years, Nobuaki has been studying and apprenticing in the traditional Japanese tea ceremony, and he performed this very deliberate and meaning-filled ritual for us–truly an honour as well as a treat! Nobuaki’s ability to speak some English permitted us to get past any language barrier and ask him many questions that came to mind about Japan’s rich and intriguing culture. Did you appreciate Kent and Thom’s tale? If you have travelled with Servas Canada and would like to share some of your news and a couple of photographs as a Travellers’ Tale, please contact us.